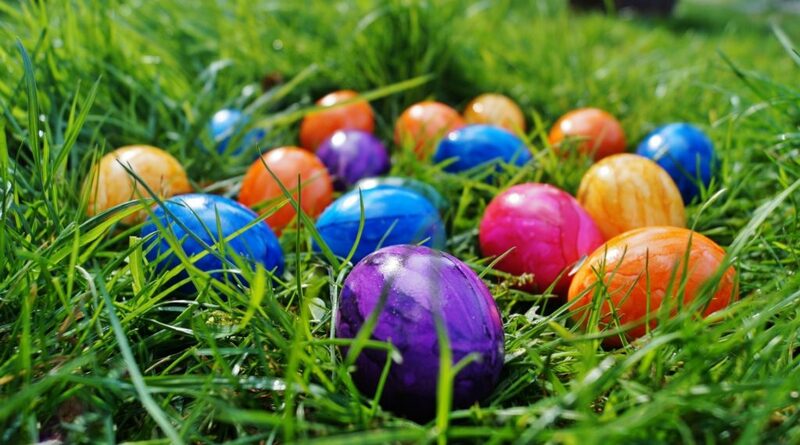 The day before Easter, families are invited to join us for a giant egg hunt in the pool! Eggs are hidden around inside the dome and eggs are free to catch in the water. 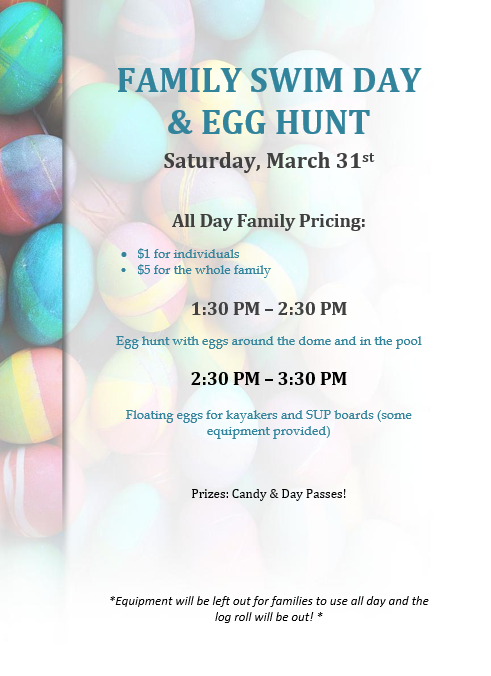 After, participants are invited to use our Kayak and SUP equipment to gather a second round of floating eggs. Prizes inside the eggs include candy and day passes. We will also have the log out for families to practice their log rolling skills. Each year, ROSE Advocates hosts an annual ROSE Bowl in April to mark National Sexual Assault Awareness month. They invite all who can join to help end violence in Valley County. 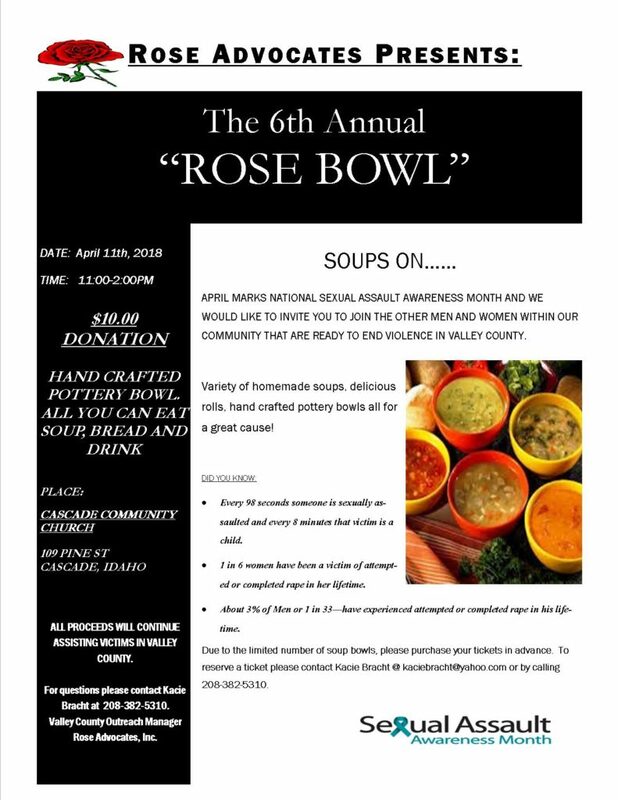 This year, the ROSE Bowl will take place on April 11th, 2018 at the Cascade Community Church at 109 Pine Street from 11 to 2 pm. 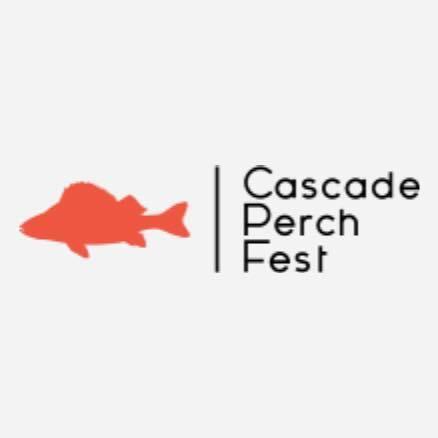 For a $10 donation, attendees will receive a hand crafted pottery bowl, all you can eat soup (donated by local restaurants and supporters), bread, and drink. Due to the limited number of soup bowls, please purchase your tickets in advance. 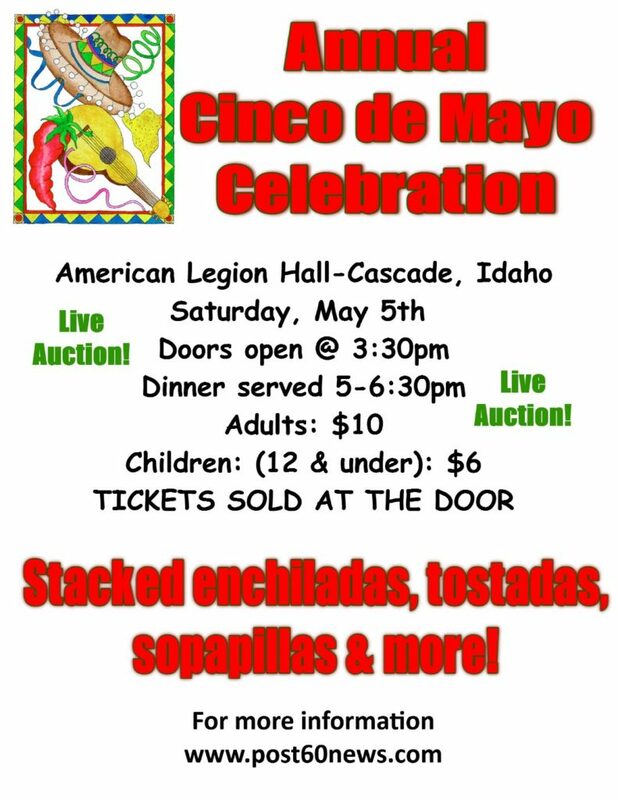 To reserve a ticket or for questions, please contact Kacie Bracht at kaciebracht@yahoo.com or by calling her at 208-382-5310. 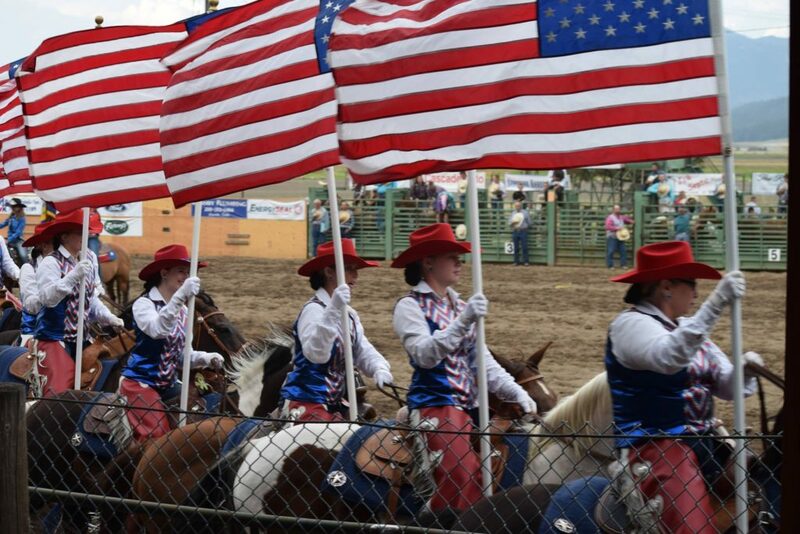 All proceeds continue to assist victims in Valley County. Donations can be made here. More information on ROSE Advocates and the services they offer can be found here. 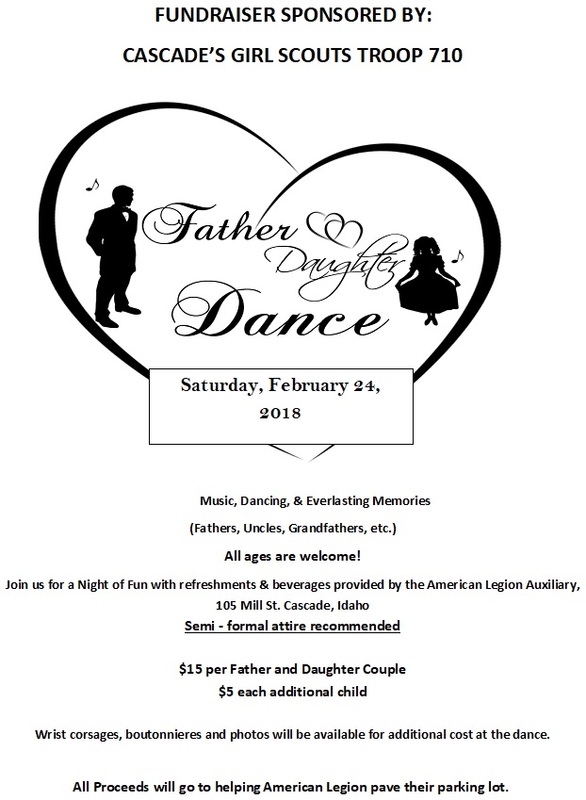 The Cascade Girl Scouts Troop #710 and the Cascade American Legion asks you to join them for a night of fun with refreshments and beverages provided by the American Legion Auxiliary between 7 pm and 9 pm on February 24th. Semi-Formal attire is recommended. All ages are welcome! Your father figure can be a father, uncle, grandfather, etc. Wrist corsages, boutonnieres and photos will be available for additional cost at the dance. The cost is $15 per father daughter couple and $5 for each additional child. All proceeds will go to helping the American Legion pave their parking lot. Please feel free to publicly join this event on Facebook here. 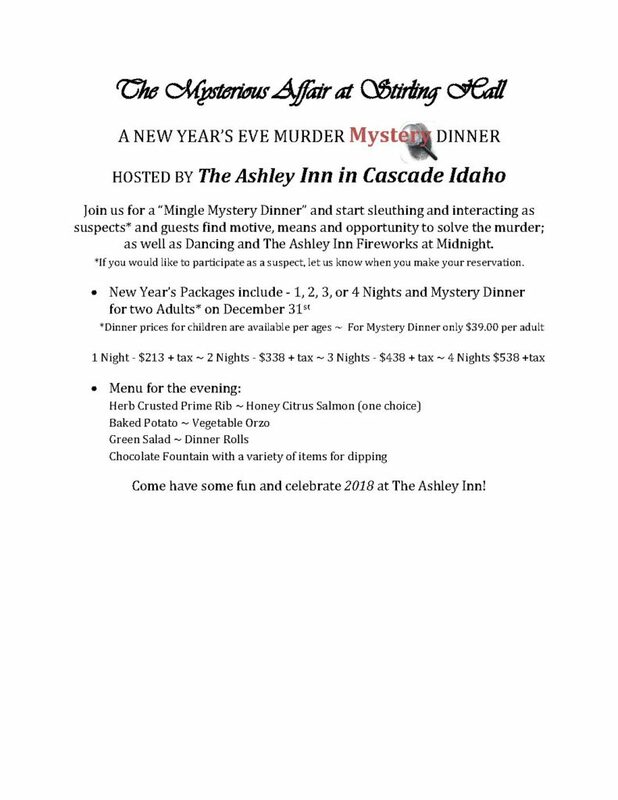 The Mysterious Affair at Stirling Hall is a New Year’s Eve Murder Mystery Dinner hosted by The Ashley Inn in Cascade! Join The Ashley Inn for a “Mingle Mystery Dinner” and start sleuthing and interacting as suspects and guests find motive, means, and opportunity to solve the murder; as well as dancing and The Ashley Inn fireworks at midnight. 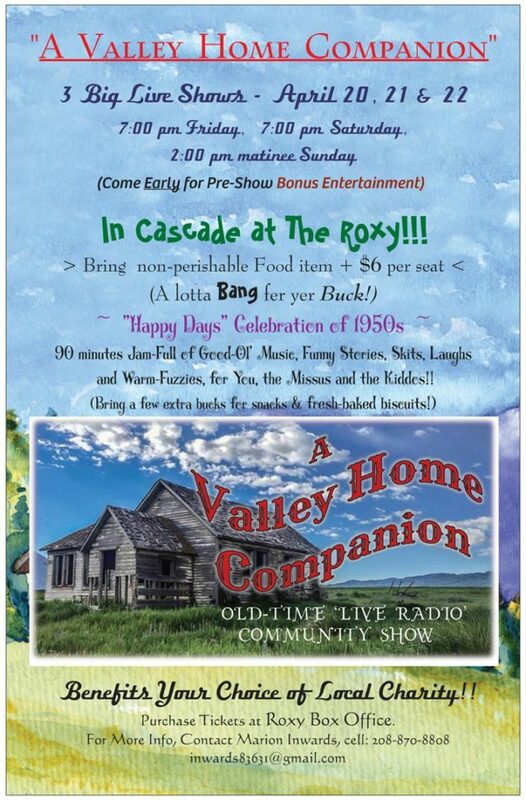 To make reservations or get more information, contact The Ashley Inn at 208-382-5621.